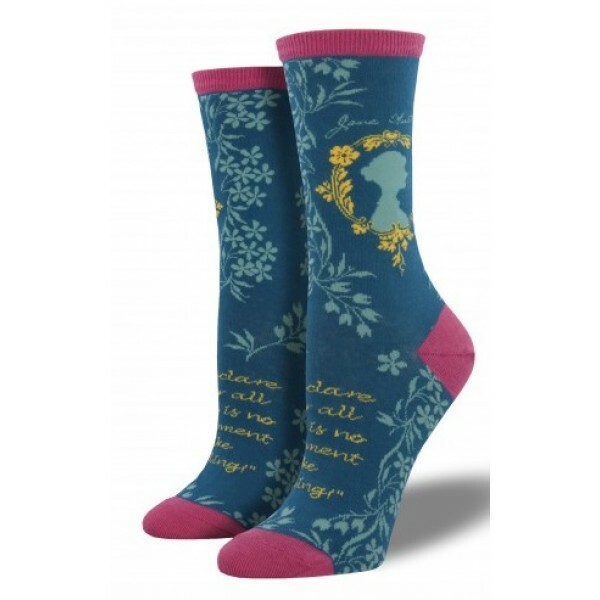 Pay homage to one of the greatest authors of English literature with these colorful and elegant Jane Austen socks from Socksmith! 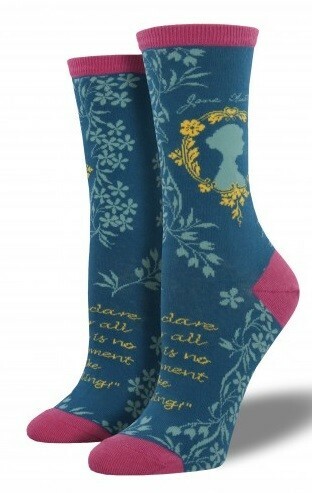 These comfortable socks include a quote from Pride and Prejudice: "I declare after all there is no enjoyment like reading!" 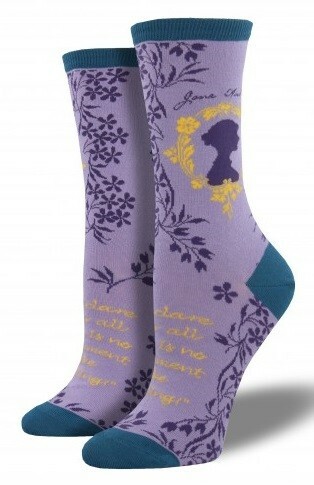 These socks, which are available in both a lavender and a steel blue background, are available in one size which fits most women's shoe sizes 5 - 10.